“Inspired to Ride,” a stunning documentary about the inaugural TransAm Bike Race held in 2014 on the TransAmerica Trail, will screen at the Drexel Theatre in Columbus on Tuesday, February 2 at 7:30 p.m. The event is sponsored by Yay Bikes! On June 7, 2014, forty-five cyclists from around the world set out on the inaugural TransAm Bike Race, a 4,233-mile cross-country, self-supported race from Astoria, OR, to Yorktown, VA. The route roughly follows the TransAmerica Trail as created by the Adventure Cycling Association, traversing through ten states in a transcontinental adventure of epic proportions. “Inspired to Ride” follows closely the journey of a handful of these cyclists as they prepare, compete and experience what riding 300 miles a day feels like with only a few hours of sleep each night. They will rely solely on their fitness, meticulously chosen gear and mental fortitude to get them to the finish. And to make it even more interesting, they will be entirely self-supported – no crew, no follow vehicles and no prize money waiting at the end. These athletes will endure agonizing climbs iin the Rockies, driving winds in the Great Plains and sawtooth switchbacks in the Appalachians all for a pat on the back, potential bragging rights and a cold beer when it’s over. Some are out to make history and set records, while others are simply trying to finish. The filmmakers used the latest technology to give the audience an incredibly immersive experience while these cyclists speed along the TransAmerica Trail, revealing its varied landscapes, intriguing locals and captivating stories which dot this path to discovery. 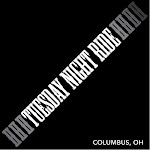 Advance tickets to the screening are $12 at www.imathlete.com/events/inspiredtoride. The Drexel Theatre is located at 2254 E. Main St. in Columbus. According to Yay Bikes!, few activities suggest harmony with the world like riding a bicycle. Bicycling for transportation ameliorates the poor health, environmental degradation, oil dependency and financial strain associated with automobile travel and facilitates community between cyclists, their neighbors and their environment. Yay Bikes! offers programs and services that promote bicycling as a means to a more fulfilling life, and works to increase trips by bicycle and reduce bicycle crashes in the Central Ohio area and beyond. For more information, go to www.yaybikes.com. 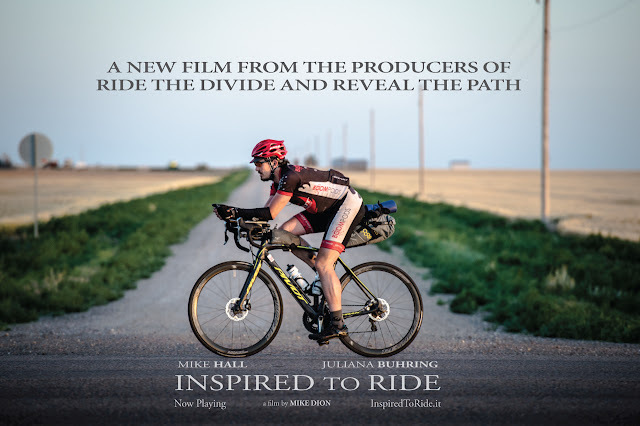 To view the trailer or for more information about the film, go to www.inspiredtoride.it. A study published this week by the University of Michigan reports a sharp decline over the past two decades among people under 25 years of age getting their driver’s licenses. The drop signals high-schoolers and college-age Americans are less interested in driving than previous generations. And the change is spreading to their parents and grandparents, moves that have auto makers scrambling to ramp up investments in alternative mobility services such car-hailing services. Since the financial crisis of 2008, the proportion of Americans under 70 years of age holding a driver’s license has declined even as annual U.S. light-vehicle sales have slowly climbed back to levels seen early last decade, University of Michigan researchers Michael Sivak and Brandon Schoettle found. "I FELT THE BREATH OF THE ARCTIC INTIMATELY BECAUSE OF THE PROXIMITY BIKE RIDING PUT ME TO BEARS ALONG THE KENNICOTT ROAD." BY THE TIME I think to eat the PB&J sandwiches stuffed in my sports bra, the windchill has turned them into rocks. At this point, I am pushing my bike across an ice-locked lake. Sporadic markers that read "Iditasport" tell me I'm on the trail, yet I can barely make them out because my eyelashes keep sticking together. A vision flashes in my mind, of a woman I'd heard about whose eyeballs had frozen during a race in Alaska. They'd apparently swelled to the size of prunes, causing her temporary blindness. Because her race had been 350 miles while mine is just 100 kilometers, I feel like a baby even thinking things could get that dire. Then again, I've already broken a chain, lost my way, and run out of water. My fingers are waxy, even in puffy handlebar mitts; my toes wooden in their insulated, lug-soled boots. Even my protective layer of beer fat feels as cold and clammy as... fat.